I LOVE the zoo. Hippos have always been one of my favorite animals for some reason. Here's some things you can do with your kids/class at the zoo. 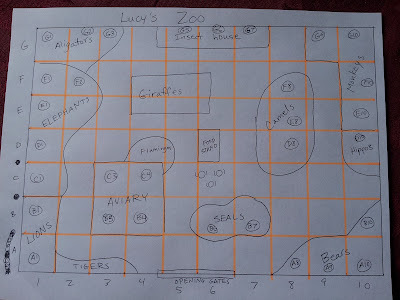 Looking at a map of the zoo, take a survey of who wants to see what animals. Turn the results into a graph. Keep a log of how many animals you see in each exhibit. What does the zoo have the most of? Count how many steps it takes to go from one exhibit to the next. Calculate how much money it would cost to feed one of the animals--like one tiger. If it eats 30 pounds of meat each day and the meat cost $3 a pound how much would that be each day? Each time you go to an exhibit count how many people are there with you. 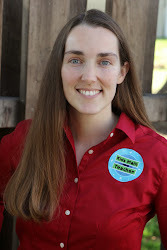 Can you time how long each person stays to watch the animals? 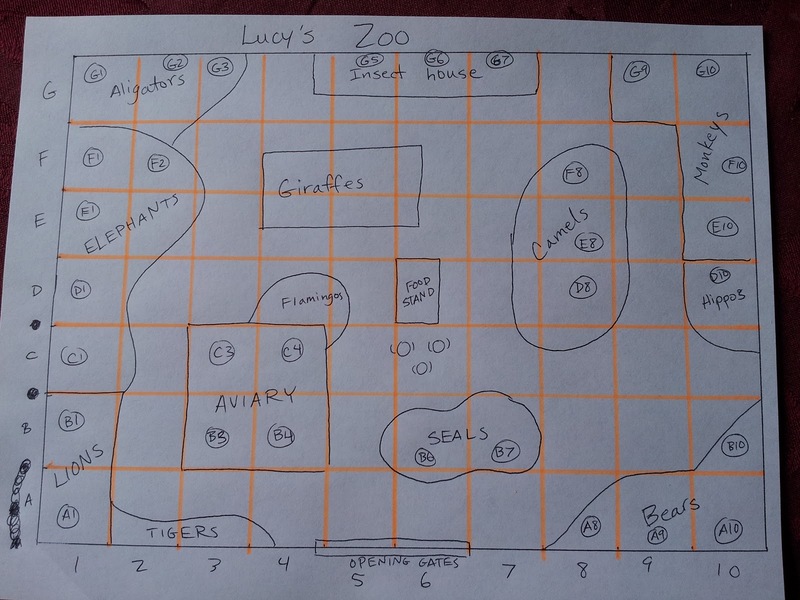 Draw a map of the zoo you went to or make one up. Put grid lines on it and you can label it. Here is my drawing--can you find which box my favorite Hippos are in?